Congratulations to the newest Texas Transportation Commissioner Alvin New, who was appointed last week. Commissioner New is a former mayor of San Angelo, and was a strong Ports-to-Plains supporter during his term as mayor. Those of you who attended our 2011 Annual Conference in San Angelo may remember Commissioner New as the emcee of the event. He was a key leader in our outreach to Mexico and developing strong relationships from Coahuila to Mazatlan. We are very excited about his appointment to the Commission and look forward to working with him over his term. Also, this edition of our newsletter has information about the long-awaited Trump Administration infrastructure proposal. This is a starting point for discussion for a transportation plan as lawmakers will certainly want a bill that reflects their priorities and benefits their constituents. This week the Ports-to-Plains staff and our partners from the Heartland Expressway Association and the Theodore Roosevelt Expressway Association are on Capitol Hill meeting with our members of Congress to discuss the infrastructure plan and to ensure that the Ports-to-Plains Alliance Corridor is addressed in any final bill that passes. It is a very busy week of meetings as we visit the office of every Representative and Senator along the 9-state corridor. 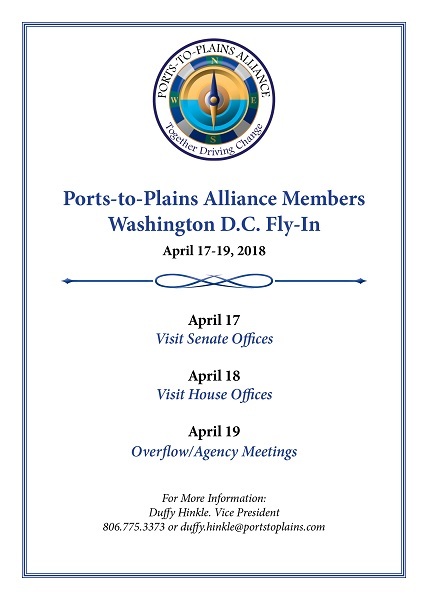 This direct advocacy, promoting Ports-to-Plains on Capitol Hill is one of the top benefits of membership in our Alliance. You can enhance our efforts by reinforcing our message when you have the opportunity to meet with your members of Congress when they are back in the district. Working together we have a stronger voice, and we can be more effective for our region. 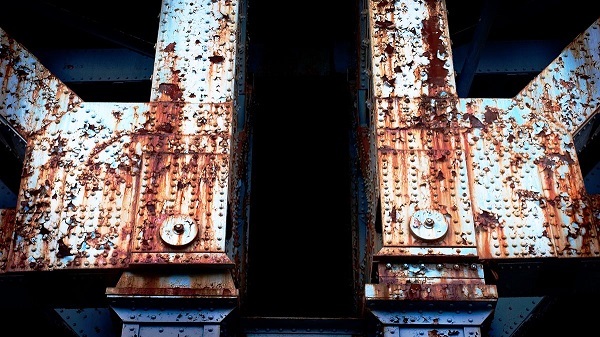 With the release of its Legislative Outline for Rebuilding Infrastructure in America, the Trump administration announced its intent to rely on state, local and private investment to provide the lion's share of new infrastructure funding. Local projects with the highest non-federal share of funding would have priority and a project's economic benefits to the public would take a back seat to revenue potential in the plan's ranking system. But with its lack of new federal funding, the plan may not be the best path to economically beneficial or creative solutions to America's most serious regional, national and long-term problems. State and local governments today bear 62 percent of the cost of building new transportation and water infrastructure and 92 percent of their annual operations and maintenance costs. Annual public spending on transportation and water across all levels of government currently exceeds $400 billion. The federal share is under $100 billion. Freight railways are almost all privately owned, but private ownership accounts for less than 1 percent of America's surface transportation and water infrastructure assets. The president's plan asserts that federal spending of $200 billion over the next 10 years will unleash some $1.3 trillion in new spending by states, local governments and private developers for a total of $1.5 trillion. But most of the $200 billion would likely come from cuts in existing infrastructure and other domestic programs – it would not be "new" money on top of current federal infrastructure programs unless Congress acts to raise the gas tax or generate other new revenues. As the Trump Administration works to modernize the North American Free Trade Agreement (NAFTA), American companies of every size, sector, and state have been reassessing the agreement’s importance. We’ve heard a great deal from American farmers and ranchers, whose exports to Canada and Mexico have quadrupled under the agreement. Understandably, U.S. agricultural producers are keen to “do no harm” to an agreement that provides them with outstanding access to two critical markets. Service providers have also been singing NAFTA’s praises. Firms in fields such as audiovisual, software, engineering, banking, insurance, and other subsectors sold a whopping $86 billion worth of services to Canada and Mexico last year. Many are enjoying double digit sales growth. But the chief beneficiary of the NAFTA is hidden in plain sight: It’s American manufacturing. Exports: Canada and Mexico are the top two markets for U.S. exports of manufactured goods, which have tripled under NAFTA (from $129 billion in 1993 to $446 billion in 2016). Our North American neighbors buy more “made in the USA” manufactured goods than our next 10 largest export markets combined, according to the National Association of Manufacturers (NAM). Growth: Canada and Mexico are our top growth markets. In dollar terms, U.S. exports of manufactured goods to Mexico increased by $91 billion in the 2009-2016 period; for Canada, sales expanded by $56 billion. No other market has delivered such dramatic growth in U.S. sales. Jobs: “U.S.-manufactured goods exports to Canada and Mexico alone support the jobs of more than 2 million men and women at more than 43,000 manufacturing firms across the United States,” according to the NAM. Small Business: More than 40,000 small and medium-sized manufacturers export to Canada and Mexico, according to the U.S. Department of Commerce. No other markets are so important to America’s smaller manufacturers, and many more such firms sell inputs and components to larger manufacturers that in turn export to Canada and Mexico. NAFTA has contributed meaningfully to the expansion of U.S. manufacturing in recent years. 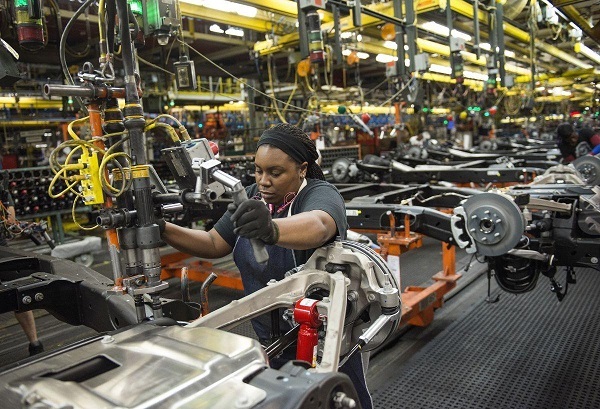 According to economic data from the Federal Reserve Bank of St. Louis, U.S. real manufacturing output has risen by approximately 75% over the past 25 years. Alvin New of Christoval has been appointed to the Texas Transportation Commission by Gov. Greg Abbott, according to a news release. The Commission is responsible for governing the Texas Department of Transportation and for policymaking regarding the state’s highway system, developing a statewide transportation plan, assisting the development of public transportation and adopting rules for TxDOT’s operation, according to the release. "I think it is a blessing," New said Tuesday of the appointment. Like local leaders San Angelo Mayor Brenda Gunter and Tom Green County Judge Steve Floyd, New said representing West Texas is important to the Concho Valley and to the state. "The ability to get food to the population centers and fuel to the population centers and fiber to the population centers means we need to have really good structure in our part of the state," New said. "And I will have a responsibility to try and communicate that." U.S. Rep. Mike Conaway, R-Midland, who recently proposed legislation to have the designation of Interstate 14 expanded to include San Angelo, said having New on the commission is important because it decides where the state's transportation dollars are spent. Explaining larger population centers, like Houston and Dallas, will get the bulk of money each year, it is important to have someone, like New, who will, "defend rural Texas as his predecessor did," Conaway said. New is replacing Tyron Lewis of Odessa. Plains Cotton Growers, Inc., commended Congress for their passage today of the Bipartisan Budget Act, a move that keeps the government in operation and also provides necessary funding for several initiatives, including disaster relief, that recently have been stalled in the appropriations process. A critical component for cotton producers is a provision within the Act that provides for seed-cotton to be made eligible for farm programs under the commodity title of the Farm Bill, restoring a much-needed safety net to cotton growers effective with the 2018 crop year. “We have worked toward a long-term solution for growers for many years now, and we appreciate our friends in Congress who have been steadfast in their support and understanding of our needs,” Reed said. “This is significant for cotton growers who for years have operated without a viable safety net, and this will allow many growers to stay in business. 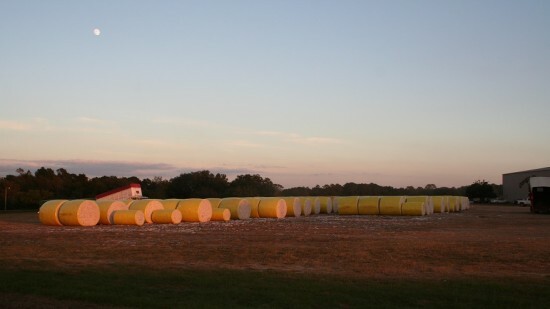 PCG commends the House Agriculture Committee, led by Chairman Mike Conaway; Ranking Member Collin Peterson; Rep. Jodey Arrington; Rep. Mac Thornberry; Sen. John Cornyn; Sen. Ted Cruz; Sen. Jerry Moran; Sen. John Boozman; and many other friends in Congress for their support of the cotton industry through this process. The City of Dumas is expecting to collect sizeable sales tax revenue thanks to a partnership between the Dumas Economic Development Corporation and a company based out of Jupiter, Florida. Life Abundance Pet Food opened in September a distribution center that ships out dog food, cat food, animal supplements and human supplements. 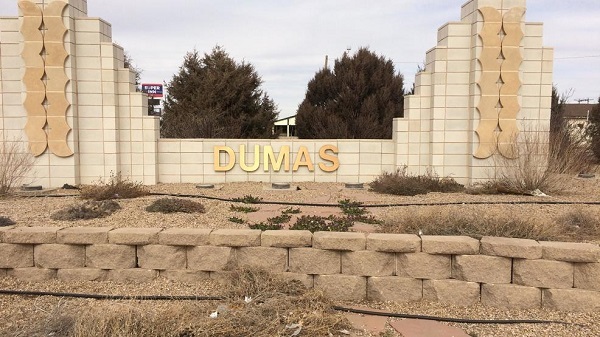 Two percent of sales tax revenue from orders purchased within the state of Texas are going to the city of Dumas and .05 percent are going to the Dumas Economic Development Corporation. Starting next month Dumas Mayor Pat Sims tells ABC 7 News sales tax revenue will be going into the city’s general fund for operations. Amanda Foster is the warehouse manager for Life Abundance Pet Foods in Dumas. She tells ABC 7 News the company is planning to expand operations with manufacturing and packaging. “We are looking at more manufacturing and assembly jobs and more customer service jobs,” said Amanda Foster, manager. Running tells ABC 7 News the expansion means 30 to 40 new full-time jobs will be created. Duffy Hinkle, Vice President of the Ports-to-Plains Alliance recently attended the Clayton/Union County, New Mexico Legislative Luncheon on January 29. This annual event held at the beautiful and historic Inn at Loretto in Santa Fe provides community leaders and citizens an opportunity to have lunch with several of their state legislators as well as state government, cabinet, department officials and local elected officials. Union County Commission Chair Justin Bennett served as Master of Ceremonies. Chairman Bennett served on the Ports-to-Plains Alliance Board of Directors for several years and Clayton’s Mayor ProTem Coby Beckner currently serves on the board as Ports-to-Plains Alliance Treasurer. Congratulations to Joe Kiely on his retirement from the Town of Limon, Colorado! 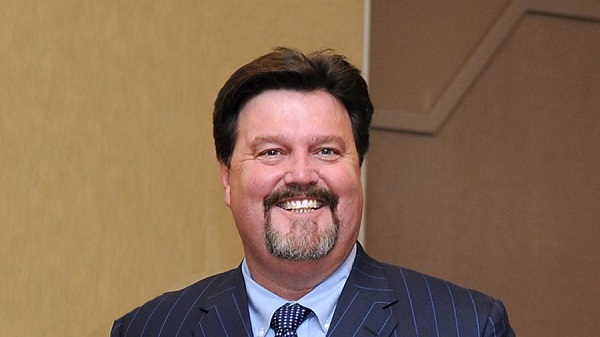 Joe will still serve as Vice President of Operations for the Ports-to-Plains Alliance. 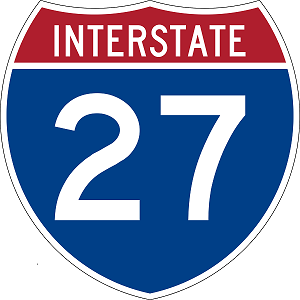 The proposed extension of Interstate 27 will be a major backbone for the energy industry in Texas serving top oil and gas producing counties as well as the growing wind energy industry. February 26 - March 1, 2018 - Staff D.C. Fly-In, Washington, D.C.